'Tis Monday and another week has begun. Why not rejoice it with an easy meatless Monday family pleaser? Let me tell you just a tiny bit about the amazing health benefits of walnuts. Excellent source of omega-3 fatty acids and plant sterols, walnuts lower the "bad" cholesterol in the blood. Vitamin E in walnuts can prevent plaque formation in arteries, keeping your blood vessels and heart healthy. Walnuts are great anti-inflammatory food. 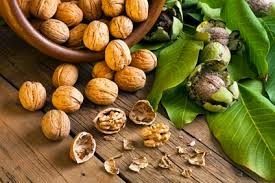 If you're suffering from arthritis walnuts are definitely a food you want to consume regularly! The vitamin E is also known as an anti-oxidant, a substance that fights oxidation in the body. Oxidation leads to ageing of cells. Place sundried tomatoes in a small bowl and add water to just cover the top. Let it soak. Heat olive oil in a saucepan over medium heat. Cook garlic and mushrooms for 3-4 minutes or until mushrooms are tender. 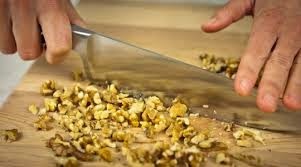 Add the walnuts and sundried tomatoes (with the water) and cook for another 2-3 minutes or until most water has evaporated. Turn off heat and mix in soy sauce. It's now ready to be served! How do you use walnut mince? Taco filling - Grab a taco shell, place lettuce leaves, then top it with walnut mince. then comes the usual (and also delicious) avocado and spicy salsa. Bolognaise - Simply replace meat mince with walnut mince. If you're in a rush, then you can mix walnut mince with a canned tomato-based sauce and you're favourite pasta dinner is ready in minutes! On toast - These walnut mince go especially well with spelt or rye sourdough. Drizzle a little extra virgin olive oil cold-pressed on sourdough toast and sprinkle walnut mince. You can also top ricotta, yoghurt or hummus depending on your appetite.